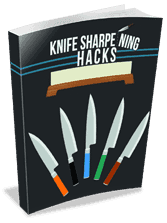 Honing vs Sharpening Kitchen Knives: What’s The Difference? I would like to describe the purpose of the four tiered pressure system and how to approach it, especially for novice sharpeners. I think it’s fantastic that you want to learn to sharpen. Here is the video. By the way, for those who have been following my blog for a while you will know that I really like the video playlist by Jon Broida of Japanese Knife Imports. It is in my opinion the most comprehensive set of videos on sharpening that I have seen. Jon has added the pressure video to his play list (with my consent) so for him to like it, that is a cool thing. In general terms, the systems purpose is for a sharpener to get the absolute most out of every water stone used in a sequence, whether it is one or four, or more. The ultimate goal of the system is created the cleanest edge possible and for the pressure system to work at it’s best, proper manipulation of pressure is necessary. I know that some folks use a sweeping technique to sharpen, I don’t, so if you want to try the pressure system I am pretty sure it will still work for you. The most important thing to be able to get a grip on is gaining the ability to adjust your pressure, especially once the Burr has formed. You do NOT want to continue sharpening with a level of pressure on the stones, especially the coarse stone that keeps creating burrs. So a really delicate touch is what will bring out the most in the system. Until you get used to this, i.e. holding pressure and and your sharpening angle, just use medium/light pressure throughout. The levels of pressure are from P4-P1 and this is just a designation I chose, I prefer NOT to equate the numbers to actual degrees of pressure, i.e. P4 does not necessarily mean 4 pounds of pressure. The reason I say this is so that nobody feels locked in to using 4 pounds of pressure initially, to form the burr, you need to use the amount of pressure necessary to create a burr on the knife you are sharpening. It may be very very dull and therefore require more pressure than a knife that is not so bad, so you wouldn’t need to use that much pressure. HOWEVER, in the process of going from P4 down to P1, P4 is still the most pressure you will use, whether it is 4 or 2 pounds. P3 – is a significant reduction in pressure, still on the same stone but remember, you do not want to form another burr so just be mindful of that, especially on those coarse stones. Your goal is coarse stone refinement, just cleaning the edge and you don’t need to spend much time at these level of pressure. I just go from heel to tip and then back from tip to heel and then flip the knife and repeat. Then I lower the pressure again to P2. P2 – Pressure is very light pressure, this amount of pressure would not form a burr on a coarse stone, well it would take an eternity, it is that light, it is very a very soft and focused movement as you CARESS the stone with the edge of the knife, all at the same angle of course, as close to it as you can manage that is. As for timing, the most amount of time that I spend during the entire process is at P4 pressure and the creation of the burr. After that, with the hard work done, the subsequent pressure drops occur very quickly, there is no need to linger on the stones at each level. Now….what about when you have gone through P4-P1 and you think you are ready to move to the next stone? Don’t be too hasty! This is the moment that you should inspect your edge and see how it looks and feels. The first thing is look at the edge closely under a good light. So I am holding the knife in a position where I can see the entire length of the blade and I use a really good source of light. What I am looking for is any telltale signs of “not quite done yet” and these will leap out at you. I look for any glint of light that is reflecting off of metal that is still clinging onto the mother ship. Tiny fragments that just don’t want to let go, fragments that I missed. In this shot you can see the white light that is clearly visible on the edge. So when this happens, I just go back to P2 pressure and make a few passes on either side of the blade but I am focusing on those areas, I am only applying the pressure as I move to that area. Then I stop and take another look and sometimes it takes a few passes but it will disappear and when it does, you will be rewarded with a very sharp edge. Trust me, this little bit of extra diligence is going to allow you to make your knives very sharp indeed. To summarize, please get comfortable with working at one level of pressure, P3 or P2 and attaining the ability to maintain angle stability as you move the knife over the stone. This just takes practice, and the more comfortable you get, feel free to start manipulating pressure the way I have laid it out. Also… this is just something I started doing a couple of years ago, don’t feel that if you completely ignore the pressure sequence that you won’t get your knives sharp. I just encourage you to give it a try. I can tell you however that I have received many many emails from people who told me it helped them out, quite significantly. Obsession leads to discovery, I don’t get paid by anyone if you use the pressure sequence, I am simply sharing something that works for me, it has worked about 10,000 times and it has never not worked for me. REMEMBER- P4 pressure is only used to create the burr and never repeated on the same knife. Maybe I should have called it P4B pressure. If you think about it though, it will make sense, why would you use that much pressure again when moving from a 400 to a 1, 000 grit stone for example? Feel free to leave a comment if you have any questions and suggestions too. Thanks for reading. Never sharpened before although obviously I hone my blades frequently with s steel, the last 3/4 years on a Ceramic “steel”. I use my cooks knives most days although only for a short time. I have several in 6″ 8″ and a 10″, from a dull IKEA through a Germany Henkel and nicer than I expected Global to a very sharp Shun Classic, 2 Wustof Icon’s. I prefer flat ground kitchen knifes but hollow ground bush knives for skinning limited butchering and general purpose. I also prefer a carbon blade as opposed to Hi carbon stainless steel when it’s available. MY QUESTION: As a novice my main concern is maintain the correct. angle consistently. I would imagine the difference between 17 and 18 degrees is minimal with maybe a mm or 2 difference in the height of the spine of the blade from the steel or stone. Is it really possible for a novice or even infrequent user to attain this level of accuracy. Are there any techniques one should use to ensure accuracy and consistency of angle? Hi and thanks for watching. Most sharpeners worry about angles at some point in time. I did but came to learn that it just takes time, you need to build up some muscle memory and it takes about 15-25 knives to do this. Now you can do this on the same knife. Just practice and use very very light pressure and work at holding your angle. Don’t worry about it do it shakes your confidence. You’ll be surprised how steady you can hold that knife. We are human so exact precision is not possible but you will also learn that that little degree of imprecision is going to help you as well. You don’t need to be exact to get the knives sharp. Remember our grandfathers were doing this on old worn out oilstones, and they did it very well. Bevin thank you. You know, that’s a good question and I’m sorry I didn’t make it clear in the video. The pressure is being applied by my two fingers that are riding on the edge. Not by the hand I’m holding it with as you said. So the sharpening is taking place below where my fingers are. Thanks so much. Great video and article. I sharpened my first knife thanks to you. That’s fantastic, thank you very much. It’s a great feeling, that feeling will just keep repeating itself as well. Good stuff, congratulations. GREAT Thanks so much Peter, loving all your articles and videos. AARTHUS, thank you. One of the questions I received about the video was whether or not the P4 Pressure meant 4 pounds of pressure. NO it doesn’t. It’s just the maximum amount of pressure used in the process and that P4 pressure should vary depending on the condition of the knife. It’s something we need to get used to, it’s not that hard really. For those of us on a budget. What kind of stones can you recommend?